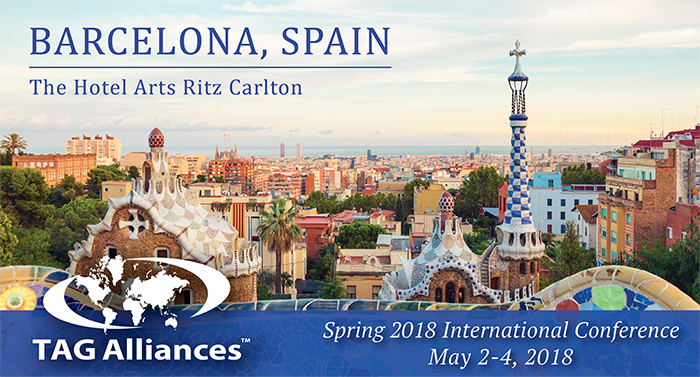 TAG Alliances 2018 Spring International Conference in Barcelona - Bufete Escura from TAG Alliances on Vimeo. TAG Alliances President & CEO Richard Attisha welcoming attendees to the conference. Keynote Hamish Taylor on "Service Excellence – Thinking Outside the Box and Putting the Customer at the Heart of all Activities within Your Organization"